The Institute is thrilled to chat with Rita Bode and Jean Mitchell, editors of the latest collection of essays about L.M. Montgomery, L.M. Montgomery and the Matter of Nature(s). Using a variety of scholarly lenses, such as anthropology and ecology, this book takes a new approach to Montgomery’s relationship to nature. 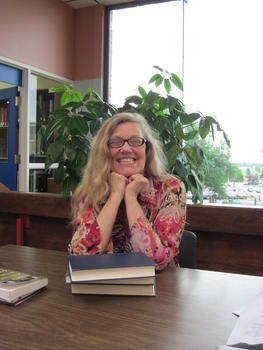 Rita Bode is an English Literature Professor at Trent University. She is also the co-editor of L.M. Montgomery’s Rainbow Valleys: The Ontario Years. 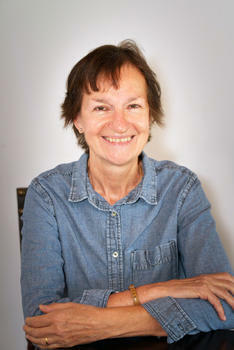 Jean Mitchell is an Associate Professor of Anthropology at the University of Prince Edward Island. She also co-edited Anne Around the World. Mitchell is also on the LMMI Management Committee. Lucy Maud Montgomery Institute (LMMI): What was your intention when putting this collection together? Rita Bode (RB): With the rise of eco-criticism, re-evaluations of the presence and handling of nature in a range of writers in whose work nature figures prominently have emerged; critical analyses have always paid attention to LMM and nature, but it seemed an opportune time in the context of current critical thinking to consider LMM’s attitudes to and embracement of nature, as well as to think about her work in a broader environmental context. Jean Mitchell (JM): I had chosen the nature theme for an earlier biennial LMM conference which resulted in a range of innovative and interesting papers so a call for papers (cfp) for proposals for a collection on a similar theme offered a very promising area for further critical exploration. Growing up in rural Prince Edward Island, I had always been enchanted by LMM’s vision of nature. I did not know anyone else who thought like she did about trees, skies, wind and nature in general. Clearly there were many other young readers around the world who felt the same way. LMMI: It’s like you both understood the theme on an intuitive level. Do you feel that this helped you work well together? RB: We did work well together, partly because we respect each other’s work, are both interested in environmental criticism, and also because we both have a deep critical appreciation for LMM’s work. We come from different disciplines (mine is literary studies and Jean’s is anthropology), and often noticed different things but these observations tended to enrich rather than contradict our perspectives. There is a fair amount of overlap between the humanities and social sciences and LMM’s wide interests and reading lend themselves particularly well to cross-disciplinary study. We both saw the importance of the interrelatedness of human and non-human (or more-than-human) natures. I found our back and forths exciting and intellectually invigorating as our different perspectives brought new insights to understanding LMM’s complex thinking on the matter of nature. The “matter” refers to subject matter but that subject includes the materiality of nature(s) which is central to the volume’s approach. JM: I felt very fortunate to have had the opportunity to explore the subject of LMM and nature with Rita who is passionately interested in the subject and brings an intense intellectual engagement to LMM scholarship. Our cross-disciplinary conversations were exciting and challenging. It doesn’t get better than that! As Rita has indicated, there are many academic disciplines currently re-conceptualizing the ideas embedded in the matter of nature and some of these critical ideas resonate throughout our volume. LMMI: You have three sections in the introduction describing how you organized the papers. How did these sections develop? RB: Jean first saw how the book could fall into three parts and this early identification of the parts stayed steady. Since the papers cover a great deal of ground, a great many “nature(s),” we felt it important to provide some shaping to the volume both for our own understanding of LMM’s expansive views and also to facilitate readers’ entry into the volume. What did change as the volume developed was where we placed the different papers. JM: The papers were moved around until they found their places. It was a good process and shows the benefits of working together. LMMI: There are so many ways of looking at nature, and you have these different sections. Did you look at each essay to determine the themes? Did you say “I think these are the ideas of the themes we want to have” at the beginning? How did you organize them? RB: I pick up here from the previous question. Several of the papers could come under any one of the three sections. Categories always have a certain arbitrariness about them. I think our approach was organic. Rather than imposing a category on the papers, we tried to see what was the most prominent aspect not only of the paper alone, but of how it would fit with the papers before and after it. We wanted to make sure that the different papers offered a seamless development in the sense that they could be read individually, but would provide a narrative if being read through from start to finish. We wanted to make sure that each paper was enhanced by its position in the volume. JM: Yes, Rita and I wanted to create space for the relational aspects of the various essays to emerge and to enliven the discussion on the matter of nature. LMMI: What are some of the highlights of the collection for you? RB: In terms of the project, I found working with Jean, our wonderful and patient contributors, and with McGill-Queen’s Press, especially Mark Abley, wonderfully rewarding and gratifying. In terms of the volume, I have to say truly that each paper provided a highlight. Each paper carries a new insight and expands our understanding of LMM’s work. And another highlight is that they all work together so well. JM: As Rita mentioned, we had an excellent editor and creative and professional contributors. I particularly enjoyed the diversity of perspectives in this volume which included environmental, literary, legal, queer and anthropological readings of LMM’s relationship to nature. My understanding of LMM’s work was enriched through all of these interdisciplinary explorations. LMMI: With all of the discussion on the environment, how do you see that this would contribute to Montgomery Studies, and beyond this collection? RB: It offers multiple new ways of thinking about LMM and nature. The romantic tradition in which LMM’s presentation of nature is so often placed has received a fair amount of eco-critical attention in recent years, and the volume offers a needed addition to this re-assessment. While providing new insightful readings, the papers also proffer new beginnings for continuing re-assessments of LMM’s interest in nature as an embodied concept. JM: We recognize that there is still much to explore in LMM’s work about what it means to be human and more-than-human in the context of environments, ecologies and natures. There are exciting academic developments such as repositioning humans within a multi-species framework which opens up possibilities for acknowledging the agencies of myriad forms of life including plants, trees, wind and oceans. We live at a time when our relationships with nature(s) demand renegotiation. Our volume underlines that LMM’s work remains relevant. If you are interested in L.M. 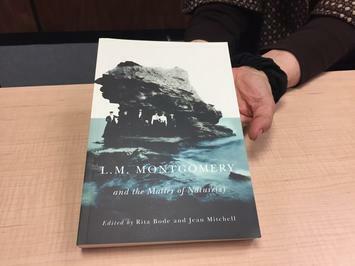 Montgomery and the Matter of Nature(s), it is available on the McGill-Queens University Press Website, Amazon and Kobo. *Special thanks to Emma Doucette for additional copy and research.